Instagram and Facebook, the service has also avoided much of its peers’ troubles around misinformation, hate and abuse. The 8-year-old company has a deliberate, slower growth mentality — as opposed to, say, Facebook’s “move fast and break things.” But it’s hard to tell how much of this slower growth is truly deliberate rather than a sign that Pinterest is merely a niche service. Pinterest’s main goal is discovery and inspiration, catching people at big life moments such as weddings, their first kid or first apartment — and everything in between — to help them find ideas of what an outfit, a meal or a dream home might look like. It’s a visual search app, too, letting users find related objects by taking photos of stuff in real life. Even back then, it was reminiscent of Oprah’s O Dream Boards, a place where you “envision your best life” through a digital billboard of sorts. The business strategy is to make the boards something more than pretty things to look at. The boards would feature something to buy, something to make, something a business would want to get in front of a potential customer in the form of an advertisement. With Tuesday’s announcement, users who’ve been pinning collections of wedding dresses, welcome mats or wool slippers will now be able to see prices and links to retailers’ websites to buy them. While Pinterest already had such “buyable pins” where people could buy stuff, the company says these new “product pins” cover many more products and will be easier to find. In addition, if the exact item is not available, Pinterest is making it easier for people to find similar ones. While a brown leather couch is a brown leather couch when you type it out in text, it is more complex when it comes to images. When you’re looking for that perfect leather couch, you simply know when you see the right one. Pinterest wants to be the company that will show it to you even when you can’t put it in words to type it into a search engine. Though Pinterest doesn’t take a cut when people buy stuff through pins, it makes advertising revenue when businesses promote pins in users’ feeds. 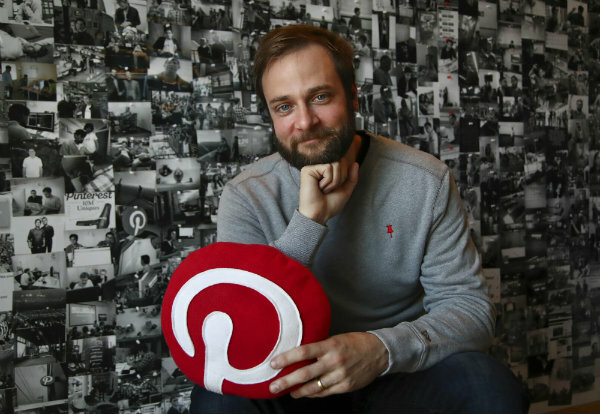 Pinterest might have kept people happy by simply avoiding social media’s mistakes. Users of Pinterest will soon be able to buy items directly through the company's app using a new type of pin. Target, Nordstrom and other big chains are pinning their hopes of attracting shoppers on social media.